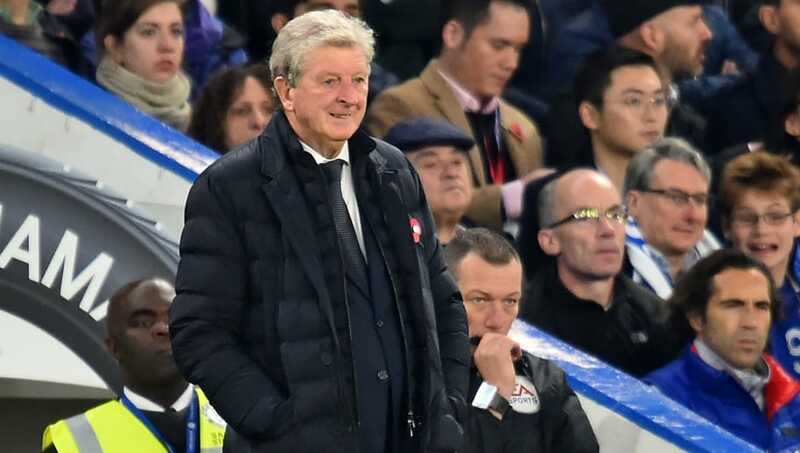 Crystal Palace manager Roy Hodgson insisted that he was pleased with his side's performance during their 3-1 defeat against Chelsea on Sunday. A brace from Alvaro Morata and a late strike from Pedro did the damage for the Eagles, who now find themselves languishing in 14th place in the league, just three points above the relegation zone. Hodgson admitted that the result was hard to take, but he was pleased with how his side fared nonetheless. “I’m always disappointed when we lose and it’s happened quite a few times,” Hodgson said, as per the ​Independent. “I can’t be critical of the team’s performance because in the first half we were solid, we were organised but maybe lacking that bit of aggression which we applied at the start of the second half and we started brightly." ​Crystal Palace have only managed to record two victories from their opening 11 league matches, but Hodgson played down any comparisons to Palace's dreadful start last season. ​“The only similarity I see is that last year we was struggling and didn’t really look like getting results. This year we’re often after matches left being somewhat surprised we haven’t got a result. "There’s not been many teams that have actually outplayed us, that wasn’t the case in my first 10 games last year, we were outplayed on quite a few occasions." Palace will now be looking ahead to fixtures against ​Tottenham and ​Manchester United and Hodgson was under no illusions that his side would have to be at their best to pick up some points in both matches. That is the first Crystal Palace goal that Wilfried Zaha wasn't involved in, since 2015. “We’ll have to give a good performance, we did last week and I didn’t think our performance was bad by any stretch of the imagination today, all we can do is try and keep giving those performances and hope it keeps going our way"